Did I read Ian Fleming? Indeed, but long after Harriet, who is still my favorite girl spy [but Agent 99 runs a very close second]. 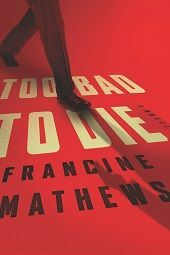 And although I never had spy-girl fantasies of my own, I’m definitely checking out “Too Bad to Die” . . . . I also loved Agent 99 on TV but I skipped over spy stories to the female PI heroines Kinsey Milhone and VI Warshawski (sp?). Will now double back to discover Helen MacInnes, and I'll explore Ian Fleming via Francine Mathews. Thanks for the interesting post! Oh, I love spy novels, especially Day of The Jackal, Eye of the Needle, and oh, Six Days of the Condor. The very best: The Charm School. ANd of course, our Susan's Maggie Hope! I am also enchanted with the Bletchley girls, and all the women who did brave things that no one's really understood. PLus the secret spies, women we might never know of--there was just an obituary for one in the paper --a truly brave spy who worked in the highest levels in WW2 and whose story is just now emerging..
And II am haunted by The Americans--there really was a couple like that--a la Charm School and The Americans-trined to be perfect Americans and living nearby in Cambridge. SO fascinating. to think about their thought processes and fears. And yes, I read all the James Bonds when I was 13. LOVED them, and thought the women were supposed to be a joke. Helen MacInnes--yes!! The Venetian Affair is sitting on my shelf, along with Decision at Delphi, The Double Image, Pray for a Brave Heart, Neither Five nor Three--one day I'll have them all. Ian Fleming--not so much--read several, but the women got in my way. Loved Agent 99, but wanted to be Emma Peel--all those jumpsuits and fabulous cars--as well as the ability to take on any villain! I'll be looking out for your latest! Love writing my own "spy girl" -- ahem, spy woman Maggie Hope of WWII's SOE. Not a big fan of Bond for the obvious reasons. Maggie Hope, Maisie Dobbs, and the Bletchley Girls--all living my girlhood dreams. It's so encouraging to see grownup women being portrayed as the heroes in this genre. I used to enjoy the John LeCarre, Tom Clancy, Robert Ludlum books, but I got weary of the male protagonists. Heroines provide a more nuanced story, I think. I read and watched Bond, but like Hank thought the women were something that was supposed to be "over the top" and not taken too seriously. So I guess that's why they didn't bother me as much. Favorite spy novel? Day of the Jackal. Just feels so perfect to me. But I admit - I am much more comfortable reading about spies. I'd be the woman in the back room who never gets out, but cracks the code needed to save the world. Love Maggie Hope, and all the spy heroines that Karen mentioned. Francine, I had no idea there really was a SMERSH! And I'm very curious about what got you interested in Ian Fleming. He certainly makes a great fictional character! Hank, the last book you said Jonathon loved was The Verdict, which I went out and immediately bought. LOVED it. And I'm with Jonathon on Too Bad Too Die, too. Great atmosphere and historical detail, great suspense, great characters. In high school I devoured Helen MacInnes novels and just about any other spy novel I could get my hands on. I, too, applied to the CIA, and eventually I also realized it was not for me. I still enjoy reading a good spy yarn, though. Happy to discover Maggie Hope through this blog, and now that I know about Stephanie's books, I'll give them a try as well. I love all the espionage novels being written today by women with women protagonists. In the old classics, women are rarely more than sidepieces or victims, and it got waved away because everyone "knew" women didn't have much of a role in real-life espionage. Now we're finding out about the women at Bletchley, and women in the OSS - even the numbers of women who spied for both sides during the American Civil War! 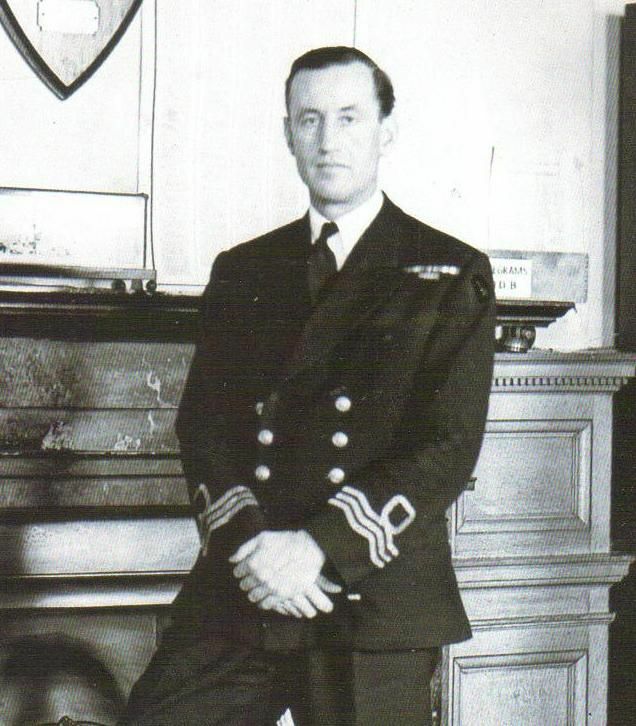 On a different tack, I get asked a lot if I'm related to Ian Fleming. I wish! But my Flemings were Scots who came to NY state from Canada, with no side trips to Bermuda, so I'm thinking not. I have thoroughly enjoyed the Maggie Hope novels, by the way--anyone who writes in the WWII period loves to find a fellow traveler. Debs, I got interested in Fleming while writing my previous book, JACK 1939, about a young Jack Kennedy on sabbatical from his junior year at Harvard, researching his senior thesis while Hitler prepares to invade Poland. Everybody in London that summer knew everybody else, it seems. Kick, Jack's sister and best friend, was friends with Pamela Digby--who went on to become Pam Churchill. And a friend of Ian's mistress, Ann O'Neil. A number of the JACK characters continue in TOO BAD TO DIE, because one story led right into the other. When I'm writing a spy novel set in a particular year, I like to check out the bestsellers FROM that year. In 1939, it was still REBECCA, by Daphne du Maurier, and one of Leslie Charteris's Saint novels, PRELUDE FOR WAR, and ABOVE SUSPICION, by Helen MacInnes. I read both of the latter so I'd know how Hitler was viewed by British spy novelists at the time. And then gave them to Jack and his father to read. I DID find Fleming tough to embrace as a character, though, Debs, because he was something of a difficult and repellant personality. Fascinating--but cold, dismissive of women, and deeply depressed. I had to reach back into his childhood to find the source of some of those destructive emotions, which is why the book has flashbacks to formative periods. Once I could pinpoint the source (perhaps; this is all fiction) of his pain, I could embody his character more easily. That's always important when working with a character who had an actual life--you have to make him/her your own as a writer, not simply present the caricature the world thinks it knows. Hank, thank you for placing me in your TBR pile. And good luck on the deadline. And the IMMORTAL DIANA RIGG. Sean Connery, no question. (To be honest, Sean Connery in just about anything).... And Ursula Andress, the first and the one-to-beat Bond girl. Hands down, Sean Connery. I'm with Flora - Connery in just about anything. Bond girl? Yeah, I'd have to go with Diana Rigg or Ursula Andress. It looks like we had similar tastes way back when. 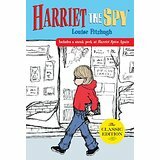 Except I think Harriet the Spy was after my time. I read the Bond books in high school, since the movies were coming out then. Sean Connery is Bond. Period. She wasn't a Bond girl per se, but Honor Blackman in Goldfinger. I saw the Flint spy movies with James Coburn. They were a hoot. Loved Maxwell Smart, 99, and Siegfried and all their stupid inventions. Like the Cone of Silence. 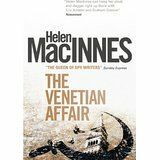 I read Helen MacInnes too. Her books were great. No dumb female victims in her stories. I can't name any other spy novels at the moment; my brain is fried. My husband, with son helping, has been thinning out his books in a major way. Boxes and boxes to go to Half Price. One of my dreams come true! "James Bond" being introduced to vodka? At that time wouldn't it have been gin? The Dana Girls. You know who the Dana Girls are. I can't believe it. It was one heck of a lonely world until just now. And Harriett the Spy and Helen MacInnes. Were we separated at birth? Yes, of course, I devoured Ian Fleming. And Ludlum. Thought I went to heaven when I found LeCarre. Now I have to get your books too. What fun! Interesting point about the vodka, Libby--that's why I have Siranoush introduce him to it. They are traveling undercover in Tehran, for the Allied Tehran conference, and vodka was widely available because the city was jointly occupied by the British and the Russians during the war. Up to that point, most westerners had not tasted vodka. And yes, gin was the usual British tipple, except Ian Fleming preferred Laphroaig scotch. It was hard to obtain during the war because the distillery was shut down--Islay was part of Scotland's naval defense area. Thanks for the great question! I have a collection of Dana Girls first editions, Kait, and recently reread THE MYSTERIOUS FIREPLACE, over Christmas, because it's a great Christmas mystery. I share my Dana Girls passion with Dean James. :) I have to say with Hank, however, that one of the greatest later spy novels is Nelson DeMille's CHARM SCHOOL. It's brilliant. Along with LeCarre's RUSSIA HOUSE, it really captures that Cold War world that will not come again. I haven't read Ian Fleming because I've never been an avid spy/espionage novel fan. My tastes run to mystery and crime that involve detectives and police and amateur sleuths. However, having said that I'm not a spy novel fan, I can immediately think of exceptions, the most obvious one being how much I love Susan's Maggie Hope series. I do think I enjoy the historical fiction element of Susan's series and am just not a contemporary spy fan. Francine, I have been working my way to reading the Jane Austin mysteries for over a year now. You are ever most in my sights to add as a favorite author. I have a too lengthy list of series I'm trying to catch up on, and yours is rapidly rising to the top. I do, at the very least, plan on having Too Bad to Die read before Bouchercon in my frantic drive to read certain authors I haven't read before New Orleans. I can't wait to read I will probably wait and start the Jane Austen mysteries after Bouchercon, as I have tendency to want to read straight through a series once I've started it, and I have too much reading to do by September to do that. I am someone who would rather read the book than watch the movie, so it is with some embarrassment that I admit that I have seen the Bond movies, even though I haven't read the books. I will have to go with Sean Connery as my favorite Bond. Francine, my sister and I adored Get Smart! And I agree about Agent 99--she's who I wanted to be! Great post. Loved the James Bond movies because they were very visual. This was in the days before subtitles. Otherwise I would watch foreign films with English subtitles. When you grow up with a profound hearing loss, access to dialogue is important. I get what you mean about the women - I never thought they were real - the characters seemed more like cartoon characters to me. Loved lost in space too. I have Helen MacInnes on my TBR list. Maisie Dobbs and Nancy Drew are among my favorite female detectives. Read your book about JFK in Europe. And love the Jane Austen mysteries too! Um, so sorry to be the picky noodge. The groovy Sixties female spy in the photo isn't Agent 99, played by Barbara Feldon. That's April Dancer, aka actor Stefanie Powers, the Girl from UNCLE. Yes, I was an UNCLE fan, too. Writing and illustrating my own stories is how I got started down this zany path.